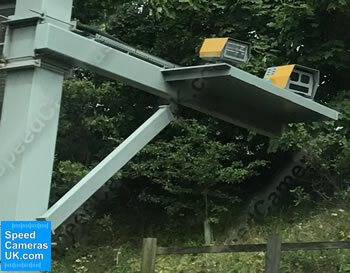 REDFLEXhadecs3 or HADECS 3 which is short for Highway Agency Digital Enforcement Camera System 3 is one the newest speed cameras to be installed on UK roads. Current locations include the M1 in Derbyshire, M6 in Staffordshire, M25 in Surrey, M20 in Kent, M25 in Kent, M62 in West Yorkshire and M4/M5 in Somerset. Following Home Office approval the first Redflex Hadecs 3 system went live on the M25 motorway between junctions 5 and 6/7 on the 22nd October 2014. Between the 22nd October and 25th November 2014 some 668 motorists had been caught speeding by the new speed camera, many of which are calling it a 'stealth camera'. Pictured above: Redflex HADECS speed camera site circled in red. Would you spot this camera driving at 70mph? The Redflex Hadecs3 is being called a so called stealth speed camera by motorists and the media alike because the cameras are very small in size and painted grey rather than bright yellow (a colour that has become synonymous with speed cameras since 2003). 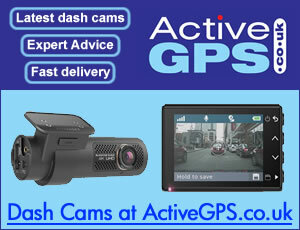 This makes the new REDFLEXhadecs3 camera very hard to spot at the road side or within overhead gantries. Redflex Traffic Systems, the company behind the HADECS 3 are an Australian company with offices in Southampton, England, UK. How do HADECS 3 speed cameras work? 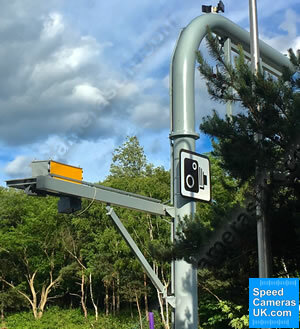 REDFLEXhadecs3 speed cameras can be either mounted on gantries over the road or on poles at the side of the road. The latter pole-mounted are a different variant called REDFLEX speed-radar. Hadecs 3 cameras mounted to the side of the motorway automatically adjust to the new enforced speed limit on the motorway to keep traffic flowing during busy periods. REDFLEXhadecs3 uses non-intrusive dual radar for the detection of speed offences in all weather conditions, with lane identification, vehicle position and positive vehicle identification. In this application, the system is to be used for monitoring up to five lanes of traffic, consisting of a hard shoulder, which may or may not be a running lane, and four running lanes. Pictured above: HADECS 3 cameras made by Redflex. 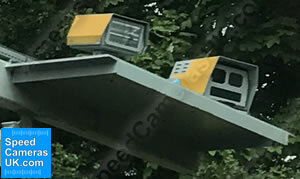 Pictured above: HADECS 3 multi-lane speed camera manufactured by Dynniq UK Ltd (formerly Peek/Imtech) for the enforcement of variable speed limits. A pole-mounted external aspect verification (EAV) system located in advance of the motorway variable message signs (VMS) monitors changes to the enforceable speed limit display and alerts the camera system to set new enforcing speed limit thresholds accordingly. Recorded speeding traffic offence data is sent from the camera system via a data network to an evidence receiving and control unit (ERCU) in a remote and secure office, where the offence viewing and decision system (OVDS) decrypts and then processes the violations for prosecution and when required creates a court file. 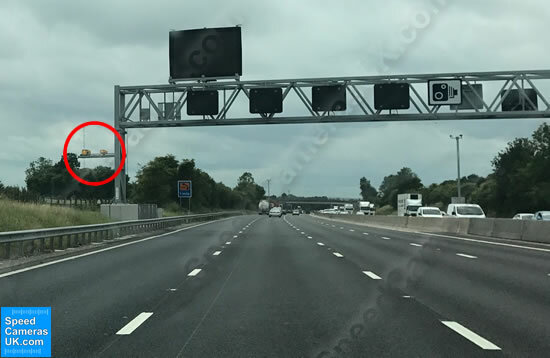 Pictured above: M25 HADECS3 speed camera targets the rear of passing vehicles. Do you have a question about HADECS 3 speed cameras? You can read UK motorist's HADECS 3 questions and answers and you can also ask your own unanswered question via our online form. Alternatively, read UK drivers HADECS 3 camera comments. These busy motorway locations all share one thing in common, they are all smart motorways. A smart motorway (formerly managed motorway) is a section of motorway which uses active traffic management (ATM) techniques to increase capacity by using variable speed limits and the use of the hard shoulder as an additional lane at times of congestion. In the instance of the M25 smart motorway section in Kent, the speed limit is normally set to 70mph. However when the hard shoulder lane is in use, the speed limit can reduce down to 40mph, 50mph or 60mph. Any change in the speed limit is clearly communicated to motorists via overhead gantry signs. The HADECS speed enforcement cameras then adjust to the new speed limit. Near where we are in Sheffield on the motorway it seems that they only work when there are restrictions e.g. a reduced speed limit of 50mph. Way back when they started appearing on the roads there was a statement that they were always being used as a deterrent, this seems to becoming thinner and they are more being used as a way to stop any speed above 70mph on motorways full stop. Luckily my days of spending hours on the open road are behind me.